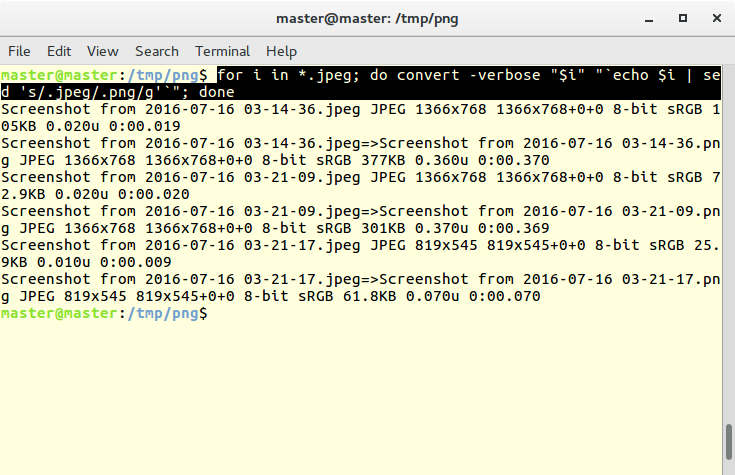 This short tutorial shows how to convert multiple files from PNG to JPEG format (and vice versa) using ImageMagick command lines and bash looping. Including explanation to make it easier to understand. This is much more easier than doing it manually one by one. 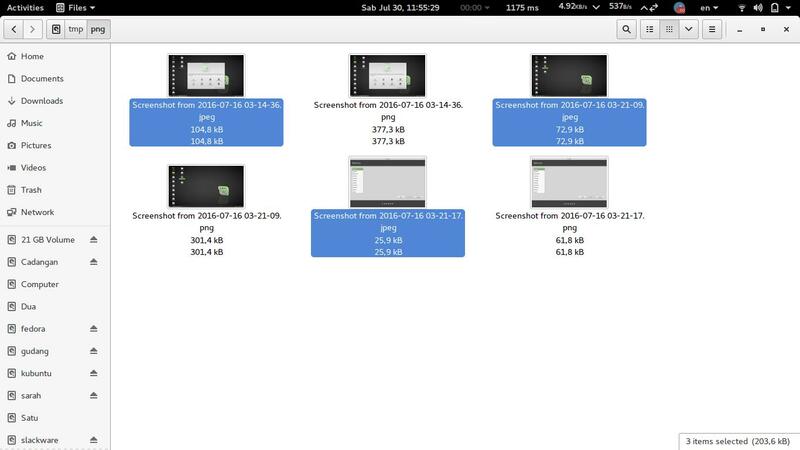 The actual single command (non-looping) for ImageMagick's convert will be like this: convert picture.png convert.jpeg to convert PNG to JPEG. If we want to do this conversion in bulk, then we need some modification. We we modify it by using bash looping in combination with sed. See the steps below. 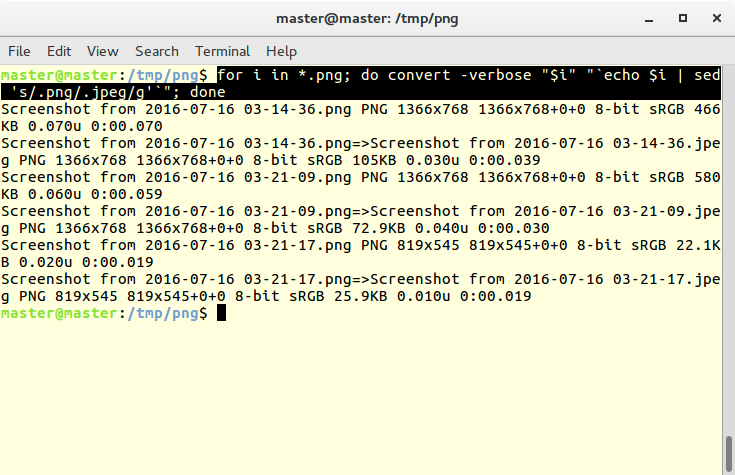 convert "$i" "`echo $i | sed 's/.png/.jpeg/g'`"
(5) and finally bash do that 1-4 jobs for one png file and continue the next png file and continue the next png file until all png files converted successfully. This is the looping. There, sed makes the extension file name .png to be changed into .jpeg (by the help from echo). To help you understand sed more, we prepared GNU sed command lines examples Episode 5. The similar happens with the JPEG to PNG conversion.